The YIPPIE Numerology and Number Divination Bibliography is copyright 2019 by the Yronwode Institution for the Preservation and Popularization of Indigenous Ethnomagicology (Y.I.P.P.I.E. ), and all rights are reserved. In other words, you may download The Numerology and Number Divination Bibliography and print it out at home for your own use, but you may not further copy it, because the copyright holder controls the copying rights. Specifically, you may not mirror The YIPPIE Numerology and Number Divination Bibliography to other web sites, you may not distribute it or publish it in print form (either for money or for free), and you may not electronically distribute it in e-lists, electronic forums, social media groups, usenet, or via DVD or other electronic media (either for money or for free) without the express written permission of the copyright holder. Author names are alphabetical. Any given author's titles are chronological by publication date. Adams, Karen. Numerology Up-To-Date: A Key to Your Fate. Arcarti, Kristyna. Numerology for Beginners. Headway / Hodder and Stoughton, 1993. Balliett, L. Dow, Mrs., How to Attain Success Through the Strength of Vibration: A System of Numbers as Taught by Pythagoras. Balliett, 1905. 8th ed., 1920. Balliett, L. Dow, Mrs. The Philosophy of Numbers; Their Tone and Colors. Balliett, L. Dow, Mrs. The Day of Wisdom According to Number Vibration. Sarah Joanna Dennis (a 5) was born in 1847. As Mrs. L. Dow Balliett (also a 5) she self-published all of her own books at the "N. E. Cor. Atlantic and Virginia Aves., Atlantic City, New Jersey." She is best-known to modern numerologists as the originator and popularizer of the Master Number system, whereby the numbers 11 and 22 are not reduced. In addition to Numerology, she also taught music to pupils, and she is responsible for the concept of "numerical vibration" being attached to the study of numbers. Mrs. Balliet is credited by many as the originator of the purely English-alphabet system of modern Numerology. Her advocacy of the Master Numbers marked a great change in Numerology theory, and in her wake, all modern Western numerologists have either been advocates of her system or they have not, neatly dividing Numerology theory into two camps. See the notes in this Bibliography to Clifford W. Cheaseley's "Numerology at a Glance" (1932) for his confirmation of her contribution in this regard and also his credit to her with respect to "the calculation of the vowels in names." The New Thought author Dr. Julia Seton and her daughter Juno Belle Kapp Walton (Juno Jordan) both studied numerology with Balliett, the latter beginning in 1898, when she was a mere 14 years old. In 1914, Balleiett lectured on number vibrations at Dr. Seton's New York City New Thought Church and School. Berglund, Lars. The Secret of Luo Shu: Numerology in Chinese Art and Architecture. This is not a book on Numerology as a system of divination, but it deals with the archaeological record in China of the Lo Shu Square. The author's premise is that the Lo Shu Square, the Shang Dynasty Tortoise Oracle, the Ba Gua, and the I Ching represent a coherent continuity of Chinese Numeric-Spiritual thought that also is evidenced in architecture and ceremonial grave goods.. His evidence is stunning, and quite convincing. This is an underappreciated book and deserves far wider readership than it has gotten in academia, as well as among students of popular Chinese Numerology. Highly recommended. Buess, Lynn M. Numerology for the New Age. Bunker, Dusty. Numerology and Your Future. Campbell, Florence. Your Days are Numbered. Florence Campbell was a student of Mrs. L. Dow Balliett. Campbell, Helen; Knox, Thomas; Byrnes, Thomas. Darkness and Daylight; or, Lights and Shadows of New York Life. A. D. Worthington & Co., 1892. This is not a book on Numerology per se, but it includes quite a lot of information, unobtainable elsewhere, on the history of Policy betting and the Numbers game in Black America. It does mention numerological betting systems. Cheasley, Clifford W. Numerology: Its Practical Application to Life. Clifford W. Cheasley, 1914 (1st edition, 500 copies); 1916, (2nd edition, enlarged, 2000 copies), 1921 (3rd edition, revised, 3000 copies), 1926 (4th edition, revised, 3000 copies), 1930 (5th edition, revised, 3000 copies). The publication notes above were printed in the 5th edition (1930), and the copy i have is also imprinted, on another page, "EDITION OF Vincent Lopez" -- with the first two words typeset and the name printed from handwritten script in what seems to be Mr. Lopez's handwriting, based on other samples of his writing that i have seen. The implication is that the popular big band leader and radio show pianist Vincent Lopez (1895 - 1975) sponsored and paid for the printing of the 5th edition of this book. See below for more on Mr. Lopez. The 5th edition is 120 pages long. The text is fascinating and complex, and definitely shows the influence (which Mr. Cheasley acknowledged elsewhere) of the pioneer numerologist Mrs L. Dow Balliett. The 15 chapters cover virtually every aspect of numerological analysis except how to derive lucky betting numbers, which are never mentioned at all. Pages 117 - 120 consist of advertisements for Mr. Cheasley's services, including teaching (a fifteen hour / fifteen lesson series of lectures, in person, "explained fully and demonstrated on the blackboard"), consultation in person and at a distance, the "Numberscope" or yearly forecast for an individual, and subscriptions to "Numero Logic, the Tiny Magazine with the Big Purpose." Cheasley, Clifford W. Numbers: What's In Your Name? Clifford William Cheasely was born in December 15, 1890 and died in December 1975. 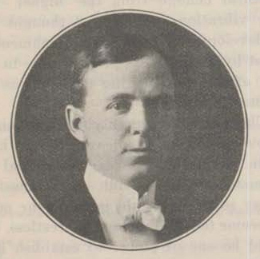 In January, 1913, he became the associate editor of "The Column," a New Thought and Spiritualist magazine published and edited by Dr. Julia Seton Sears. Dr. Seton was a lecturer and the founder of the New Thought Church and School who had studied numerology under Mrs. L. Dow Balliett; her daughter, Juno Belle Kapp Waltom, published books on numerology under the pen-name Juno Jordon. Cheasley replaced the numerologist Dr. Roy Page Walton, Juno's husband, as Seton's assistant editor when the magazine relocated from Denver, Colorado, to New York City. Cheasley's articles for "The Column" were philosophical and cosmological in nature, but by June 1914 he was lecturing on "Abundance" and teaching classes on Numerology at Dr. Setons's New Thought Church and School in New York City. His earliest numerological book, "Numerology: Its Practical Application to Life," was self-published in New York City in 1914. In August 1914, one month after Dr. Roy Page Walton first began advertising his mail-order "name readings" in "The Column," Cheasley took out an ad in "The Column" for his course of eight weekly in-person lessons in "names and numbers" in New York City for a total cost of $5.00. He also held public lectures for 25 cents per person and promised to close each lecture with a numerological character analysis of four attendees at no extra charge. Additionally, he offered private written readings for $1.00 (twice what Dr. Roy Walton charged) and "detailed" readings for $2.00 each. After writing "Numbers: What's In Your Name?" in 1916 for the publisher Edward J. Clode (who had two years earlier published Dr. Roy Page Walton's "Names, Dates, and Numbers: What They Mean To You" and was also Dr. Seton's publisher), he returned to self-publishing. Cheasley received his Social Security Number in Florida in November 1936. I have a typed letter he wrote to a client in 1938 when he was staying at the Wentworth Hotel in New York City, another sent to the same client from Jacksonville, Florida, in 1939, and a third sent to the same client, dated 1944, when he was staying at the Iroquois Hotel in New York City. His final books, to the best of my current knowledge, were self-published in Baldwin, New York (1930) and Boston, Massachusetts (1932). Cheasley, Clifford W. Cheasley's Numerology at a Glance. This book is exquisitely typeset and letterpress printed on beautiful, creamy laid paper, and the pages are cut to varying heights and bound in boards in such a way that the entire book is self-indexing by chapter title in a most remarkable manner. I have never seen anything like it in 60 years of book collecting. Mr. Cheaseley's photographic portrait, printed on clay-coat paper, forms the frontispiece and shows him to be a heavyset Caucasian man of late middle age, with wavy hair, a conservative suit, and a very boldly printed silk tie. The corresponding pages at the back of the book are set aside for some brief advertisements, in which the author offers his personal services as a Numerologist, for private consultation by appointment, individual and class instructions, beginners and advanced correspondence courses, typewritten character analyses, yearly analyses, personal guidance by mail, and a birth-day check-up in person or by mail. He was located at Suite 22, 231 Park Drive, Boston, Massachusetts. In the introduction to "Numerology at a Glance," Cheasley writes, tellingly, about "the special numbers of 11 and 22, first presented by Mrs. L. Dow Balliett," and he states that, "In the structure of the present-day Numerology, credit is due to Mrs. L. Dow Balliett for the calculation of the vowels in names; to Dr. Julia Seton for the calculation of the consonants, and the laws of 'Similars,' 'Complementaries,' [and] 'Opposites;' [and] to Artie Mae Blackburn and Valyre Judy for the value of the vowels in first names." He also mentions the method of reading "'Pinnacles,' for which credit is due to Juno Kapp Walton" [Juno Jordan]. Cheiro [Count Louis Hamon]. The Book of Numbers. London, 1926. Revised as Cheiro's Book of Numbers. Barrie & Jenkins, 1978. Frederick Muller, 1974. Reprint, Mayflower, 1978. Crane, Florence. Numerology: What Does Your Name Vibrate? De A'Morelli, Richard. Numerology: The Key to Your Inner Self. de Claremont, Lewis [pseud.] How to Get Your Winning Number. As explained in "The Secret of Numbers Revealed" by Yronwode et al, both this 48-page booklet and its successor, The Secret of Numbers Revealed by Godfrey Spencer "were stone-cold, word-for-word plagiarisms of a much earlier book — a slender hard-cover volume titled 'Names, Dates, and Numbers: What They Mean To You' by Dr. Roy Page Walton, published by Edward J. Clode in New York City in 1914." Additional material by the pseudonymous "Lewis de Claremont / Godfrey Spencer" consists of the Master Code system for deriving lucky numbers from dreams and and omens to use in lottery play, particularly in the illegal games of Policy, Bolita, and The Numbers. Read more about Lewis de Claremont, Godfrey Spencer, and other pseudonyms associated with Empire Publishing here: "The Enduring Occult Mystery of Lewis de Claremont, Lewis de Clairemont, Louis de Clermont, Godfrey Spencer, Charles M. Quinlan, Black Herman, Benjamin Rucker, Joe Kay, Joseph Spitalnick, Joe Martin, Max Spitalnick, Henri Gamache, Henry Marsh, Anne Fleitman, and The Elusive Mr. Young"
Decoz, Hans. Numerology: A Complete Guide to Understanding and Using Your Numbers of Destiny. Drayer, Ruth A. Numerology: The Power in Numbers. This book conatins a history of numerology, paying tribute to such pioneers as Mrs. L. Dow Balliett, Dr. Juila Seton, and Juno Jorda. Written for beginners, it is a good basic introduction to the topic and assists the newcomer to construct a useful numerological character analysis. Ducie, Sonia. Principles of Numerology. Fanthorpe, Lionel and Fanthorpe, Patricia. Mysteries and Secrets of Numerology. Farrell, Particia. Numerology (Pocket Prophesies series). Gibson, Walter B. The Science of Numerology: What Numbers Mean To You. George Sully & Co., 1927. An excellent book, very much "in depth" and beautifully explicated by a master-writer and thinker. Includes fabulous line-art illustrations, which were used (without credit) by the Gannett News Service in a boiler-plate article on Numerology distributed to subscribing newspapers in 1977, and again (with full credit) in the 2019 Yronwode edition of "The Secret of Numbers Revealed." Walter Brown Gibson (1897-1985) was a stage magician and author. Under the pseudonym “Maxwell Grant” he penned more than 300 novel-length stories of the pulp fiction detective The Shadow. He also wrote comic books, radio dramas, and works on metaphysics and the occult. Goodman, Morris C. Modern Numerology. According to the dust wrapper of the first edition of this book, Morris C. Goodman was born in New York, graduated from Columbia University, and also attended New York University, Brooklyn College, and the New School, earning an M.A. and PhD., and worked as a teacher in the New York City school system. A Spiritualist and Theosophist, he wrote more than 500 magazine articles and numerous books on the occult and divination. Goodwin, Matthew Oliver. Numerology the Complete Guide. 2 Vols. Haeberle, Erwin J. [editor]. Secrets of Numbers: On the Mysteries of Numbers. Hitchcock, Helyn. Helping Yourself With Numerology. Householder, Frank, Ph. P.A.S.N.. Four Basic Principles of Numerology: Efficiency of the Five Kingdoms. This is a fascinating book that deals with the author's (Christian) insights into (Jewish) Gematria, seen from the perspective of then-new scientific terminology and New Thought spirituality. It appears to have been self-published, in paper wraps, and its eccentricities and quirks are characteristic of metaphysical books self-published in California in the period between the two World Wars. The author is seeking to reconcile Biblical terminology with recent scientific discoveries, using a form of "Cabalism" (i.e. Christian Gematria) that produces lengthy lists of numbers assorted by the number of letters in the words, and the sum of the numerical value of the letters within them. A short extract from the painstaking numerological work found in this unusual and rare book was sampled, with credit to the author, in The Secret of Numbers Revealed (2019) edited by Catherine Yronwode. Johari, Harish. Numerology With Tantra, Ayurveda, and Astrology: A Key to Human Behavior. Jordan, Juno. Numerology: The Romance in Your Name. J.F. Rowny Press, 1965. Reprint, DeVorss & Co., 1973. Jordan, Juno. Many Things on Numerology: Controversies and Questions. Jordan, Juno and Houston, Helen. Your Name, Your Number, Your Destiny: Two Guides to Numerology. Juno Jordan (a 5) was the pen-name of Juno Belle Kapp (also a 5). Born in 1884, she was the daughter of the well known and influential New Thought and Spiritualist teacher Julia Lorinda Seton Kapp Sears, M.D. (1862-1950), better known as Dr. Julia Seton. Seton and her daughter Juno, as well as Seton's two younger magazine editors, Dr. Roy Page Walton and Clifford W. Cheasley, who were of Juno's generation, did much to publicize the system of number analysis originated by Mrs. L. Dow Balliett. Jordan had begun her studies with Balliett while still in her teens. Juno Kapp graduated from the Denver Dental College in 1905 and married Dr. Roy Page Walton. After this time she was variously known as Dr. Juno Walton and Juno Kapp Walton. By 1908 - 1909, both Dr. Juno Walton and Dr. Julia Seton Sears were identified as "Suffragettes" in newspaper articles. In 1914, Dr. Roy Walton and Dr. Juno Walton went in London with Dr. Seton and seem to have remained there for a time after Dr. Seton returned to America. In 1919, when she was 35, Dr. Juno Walton took to the lecture circuit, as her mother had before her. Several appearances were announced in the newspapers of San Francisco, and later that year she spoke in Los Angeles at The Church of the New Civilization, founded by Dr. Seton. Dr. Juno Walton settled on the West Coast, where she established the California Institute of Numerical Research, which met weekly for 25 years to put Numerology to the tests of science and practical application. In 1939, Clifford W. Cheasley, who had known her and her mother for at least two decades, mentioned in "Numerology at a Glance, the method of reading "'Pinnacles,' for which credit is due to Juno Kapp Walto." An astrologer as well as a numerologist, Juno Jordan wrote an autobiography at the age of 90, co-authored her final book on Numerology at the age of 98, and lived to be almost 100 years old. When she died in 1984 in Los Angeles, she was the last surviving original student of Mrs. Balliett's seminal school of early 20th century numerology. Katakkar, Dr. M. Encyclopedia of Numerology: The Mysteries of Numbers Revealed by the Ancient Masters. Konraad, Sandor. Numerology: Key to the Tarot. Kozminsky, Isidore. Numbers, Their Meaning and Magic. G. P. Putnam's Sons, 1927. Isadore Kozminsky, an Australian of Russian Jewish descent, worked with the English alphabet, but tied the letter values to the Hebrew alphabet, in a sort of Kabbalah-Numerology hybrid. Lawrence, Shirley Blackwell. The Secret Science of Numerology: The Hidden Meaning of Numbers and Letters. A modern look at the Pythagorean theory of numbers and music vibration, featuring an exploration into gematria, geometry, the Bible, the origins of the alphabet, and the symbolic correlations between energy vibrations, numbers, sounds, colours, and words. In the old days, this would have been considered a book on "Cabalism" or "Numberology." Leek, Sybil. Numerology: The Magic of Numbers. Lip, Evelyn. Chinese Numbers: Significance, Symbolism, and Traditions. Times Editions, 1992. First American Edition, Heian International, 1992. Lopez, Vincent. Numerology: How to Be Your Own Numerologist. A thorough analysis on how to apply numerology to yourself and your problems. The influences of L. Dow Balleitt, Dr. Roy Page Walton, Clifford W. Cheasley, and Dr. Juno Jordan are evident in this book, which is written in a thoroughly modern style, and was highly popular during the 1960s, in part due to Lopez's celebrity status, but also because it is an easily understood "beginner's" text. Mr. Lopez was famous for the piano rendition of his theme-song, "Nola." His Wikipedia entry notes that "Lopez's flamboyant style of piano playing influenced such later musicians as Liberace." He successfully predicted the date that the italian dictator Benito Mussolini would enter the Second World War, and by 1944, he had written a book published by David McKay titled "What's Ahead? A Musician's Prophecies of World Events." Mr. Lopez died in Miami, Florida, at the age of 80, following a stroke. According to his obituary in New York Times for September 21, 1975, "Since 1940 [but we know that it was at least since 1930] Mr. Lopez devoted many of his spare hours first to astrology and then to numerology. For many years his predictions, which were rather nonspecific, were printed by Broadway columnists. He elaborated his system in a book, 'Numerology,' published by Citadel Press in 1961.To numerology he attributed his decision to rename Betty Darling as Betty Hutton and Edna Mae Burbin as Deanna Durbin." Misegades, Charles. Know Your Number. Moore, Gerun. Numbers Will Tell. Barker; Grossett & Dunlap, 1973. Mykian, M. Numerology Made Easy. Wilshire Book Company / Melvin Powers Self-Improvement Library, 1979. This is not a book on Numerology per se, but it includes quite a lot of information, unobtainable elsewhere, on the history of Policy betting and the Numbers game in Black America. It does mention numerological betting and dream-number books. Peden, Lauren David. Numerology: The Mystical Arts. Perez, Dennis. You Can Learn the Lo Shu Square! Phillips, David. The Complete Book of Numerology: Discovering the Inner Self. RaMayne, Korda [Robert A. Nelson], Korda RaMayne’s Mystic Key to Numerology: Science of Numbers. This is a brief saddle-stiched pamphlet by Robert Allan Nelson of Columbus, Ohio, who regularly wrote and broadcast on the radio as "Dr. Korda RaMayne." As a product of his prolific Nelson Enterprises company, which supplied pitch books and tick sheets for professional psychics working in the fields of Astrology, Palmistry, and Numerology. As with all of the Nelson Enterprises pitch books, this pamphlet was also available with the buyer's surprinted name as the author. Thus the collector may find copies with a variety of different author names, or with no author name at all. It is a basic pitch book and tick sheet for the numerologist's clients, and it is notable for the extensive space that Nelson devotes to the Vocation Number, that is, the sum of the birth date (Life Path) and the full name (Destiny Number). Roquemore, It's All in Your Numbers: The Secrets of Numerology. Sepharial [Walter Gorn Old]. The Kabala of Numbers. 2 vols. William Rider and Son, Part I (unmarked as such on the first edition) 1911;Part II, 1913. After 1913, the first volume was stamped Part I. MacKay, 1920 (as Part I and Part II), 1928. Weiser, 1974 ("New and expanded one volume edition"). Borgo Press, 1980. Sepharial was the pseudonym of Walter Gorn Old (1864-1929), a British Theosophist best known for his prolific writings on the subject of Astrology. This book deals with his Theosophical form of "Kabalism." Seton, Julia. Symbols of Numerology. [Original date and publisher unknown to me; not listed among her publications as of 1914]. Reprinted by Borgo Press, Newcastle Pub. Co. Inc., and Red Wheel / Weiser, 1984. Dr. Julia Lorinda Seton Kapp Sears (December 27, 1862 - April 26, 1950) held an M.D. degree and was a practicing physician, unusual for women of her era. However, she turned her attention to Spiritualism and New Thought and founded The New Thought Church and School. Seton was married twice. On December 7, 1882 she wed Mr. S. S. Kapp of Cleveland, Ohio. They had one child, Dr. Juno Belle Kapp (1884-1984), who, under the pen-name Juno Jordan, became a prominent numerological author in her own right, and who was married to the numerologist Dr. Roy Page Walton. Seton's second marriage, on November 16, 1903, was to Frank. W. Sears. They separated in 1915, after which she returned to the use of her maiden name, Julia Seton. Seton was a touring lecturer. In 1908 and 1909, she and her daughter spoke widely as suffragettes. From 1911 through 1914, in addition to lecturing art the churches she had founded, she was also the publisher and chief editor of "The Column," a magazine on spiritual and metaphysical topics. The early issues were published in Denver, Colorado, with the Dr. Roy Page Walton as one of the co-editors. Seton briefly toured England and published "The Column" in London, but soon relocated to New York City, where her new associate editor was the numerologist Clifford W. Cheasley. By 1918, the publisher Edward J. Clode of New York City, who had earlier brought out the numerological books of Seton's associates Walton and Cheasley, also had in print a list of eight books by Seton, including a novel and such New Thought titles as "Methods of Obtaining Success" and "The Key to Health, Wealth, and Love." Seton is said to have been the person who coined the word "Numerology." Numerologically speaking, she was a student of Mrs. L. Dow Balliett, whom she hosted as a lecturer at her New York church ans school in 1914. In the introduction to "Numerology at a Glance," published in 1930, Clifford W. Cheasley writes that, "credit is due to [...] Dr. Julia Seton for [her introduction of] the calculation of the consonants, and the laws of 'Similars,' 'Complementaries,' [and] 'Opposites.'" Shafton, Anthony. Dream Singers: The African American Way with Dreams. J. Wiley & Sons. 2002. Conari Press, 2001, Castle Books, 2002. Simpson, Jean. Hot Numbers: Use Numerology to Discover What Makes Your Lover, Boss, Friends, Family, and You Really Tick! Spencer, Godfrey [pseud.] The Secret of Numbers Revealed: The Magic Power of Numbers. Empire Publishing / Pyramid Publishing / Dorene Publishing, 1938, 1939. Revised Edition, 1969. As explained in "The Secret of Numbers Revealed" by Yronwode et al, both this 48-page booklet and its predecessor, How To Get Your Winning Number by Lewis de Claremont, "were stone-cold, word-for-word plagiarisms of a much earlier book — a slender hard-cover volume titled 'Names, Dates, and Numbers: What They Mean To You' by Dr. Roy Page Walton, published by Edward J. Clode in New York City in 1914." Additional material by the pseudonymous "Lewis de Claremont / Godfrey Spencer" consists of the Master Code system for deriving lucky numbers from dreams and and omens to use in lottery play, particularly in the illegal games of Policy, Bolita, and The Numbers. Stein, Sandra Kovacs. Instant Numerology: Charting Your Road Map to the Future. Strayhorn, Lloyd. Numbers and You: A Numerology Guide for Everyday Living. Strayhorn, Lloyd. LLoyds Book of Numbers: A Numerology Guide for the 21st Century and Beyond. Taylor, Ariel Yvon. Numerology Made Plain: The Science of Names and Numbers and the Law of Vibration. Laidlaw Brothers, 19xx. Revised and Enlarged Edition, 1930. Ariel Yvon Taylor writes as if she were a student or follower of the school of numerological thought led by Mrs. L. Dow Balliett, but she goes Mrs. Balliett one better in that she not only specifies the Master Numbers 11, 22, and 33, she also instructs her readers to never reduce the number 10 to 1, and gives it its own special meanings, an idea which may be unique to her. Like the earlier author Frank Householder, she presents many pages of common English nouns and adjectives enumerated by final sum. Unlike Householder, she does not favour Biblical or scientific words or phrases, nor does she call this work "Cabalism" or any such term. However, from the list we do learn that Mastery = 11 and Master = 22. The book is illustrated with photographic portraits of well-known 19th and 20th century people whose names she has enumerated, and it is augmented by a list of 1,500 common and uncommon first and last names which Taylor has pre-enumerated for the convenience of the reader. From the latter list we can guess why her middle name is spelled so unusually: Yvonne is a flighty 5 but Yvon is a masterful 22, making her new name Ariel (9) Yvon (22) Taylor (9) — and after casting out the 9s, she is left with 22! Taylor, Ariel Yvon; Hyer, H. Warren. Numerology Its Facts and Secrets: The Inside Story of Your Life. Taylor, C[harles] Tousey. Numerology and the Law of Correspondence as Symbolized in the Bible, Masonry, and Astrology. This is one of those eccentric little mimeographed wonder-books that make the study of occult self-publishing so much fun. In 16 typescript pages, only 5 1/2 x 8 1/2 inches in size, Mr. Taylor manages to put across his exotic, elaborate, and highly idiosyncratic viewpoints about cosmology, New Thought, and the I AM movement; give the Roman numerals, the Arabic numerals, Astrology, and Freemasonry their due; and introduce a new discipline i shall call "Dateology," for lack of a better term, whereby the numerological value of a date determines the major world events (as selected by Mr. Tousey) that took place during that year. His other known book is "Which? Impulse, Instinct or Intuition," a title that "deals with some of the simple laws of the universe and explains some of the mysteries mankind has been searching for." When the 1940 Federal Census was taken, Charles Tousey Taylor (1856 - 1956), and his wife Mary Laura Dodds Taylor (1865–1942) were living at 606 North 48 Street, Seattle, Washington. He declared his birthplace as Connecticut, and his skin-colour was given as "white." Their daughter, Gladys Taylor Weltzien (1895–1939) had died one year earlier. They are buried in Evergreen-Washelli Memorial Park, Seattle. Thompson, Nathan. Kings: The True Story of Chicago's Policy Kings and Numbers Racketeers, An Informal History. This is not a book on Numerology per se, but it includes quite a lot of information, unobtainable elsewhere, on the history of Policy betting and the numbers game in Chicago. It does mention numerological betting and dream-number books. Too, Lillian. Chinese Numerology in Feng Shui, the Time Dimension. Walton, Dr. Roy Page. Names, Dates, and Numbers: What They Mean to You. Revised edition, Edward J. Clode, 1914. In October 1911, with Vol. 1, No. 1 of "The Column," a New Thought and Spiritualist magazine published in Denver, Colorado, by Dr. Julia Lorinda Seton Kapp Sears, numerology took its place front and center among the metaphysical arts. In addition to Dr. Julia Seton, as she was known, "The Column" had two editors, Dr. Roy Page Walton and Henry Fielding. They shared copyright ownership of the magazine with Seton and wrote articles for the periodical, which was an organ of Seton's New Thought Church and School. Every issue, until the magazine's relocation to London and thence to New York City in 1913, carried the byline of Dr. Walton, as well as advertisements for his book, “Names and Numbers: What They Mean to You,” available from The Column Publishing Co., 2205 E. Colfax Ave., Denver, Colo.
Walton was married to Seton's only child, Dr. Juno Belle Kapp (1884-1984), who toured and lectured under her married name Dr. Juno Walton. Simultaneously, using the pen-name Juno Jordan, she was herself a successful numerologist and author. In 1914, after Dr. Seton had relocated "The Column" to New York City and hired a new associate editor, the numerologist Clifford W. Cheasley, Dr. Walton's book was extensively revised and reprinted in hard-bound format by Edward J. Clode of New York City. 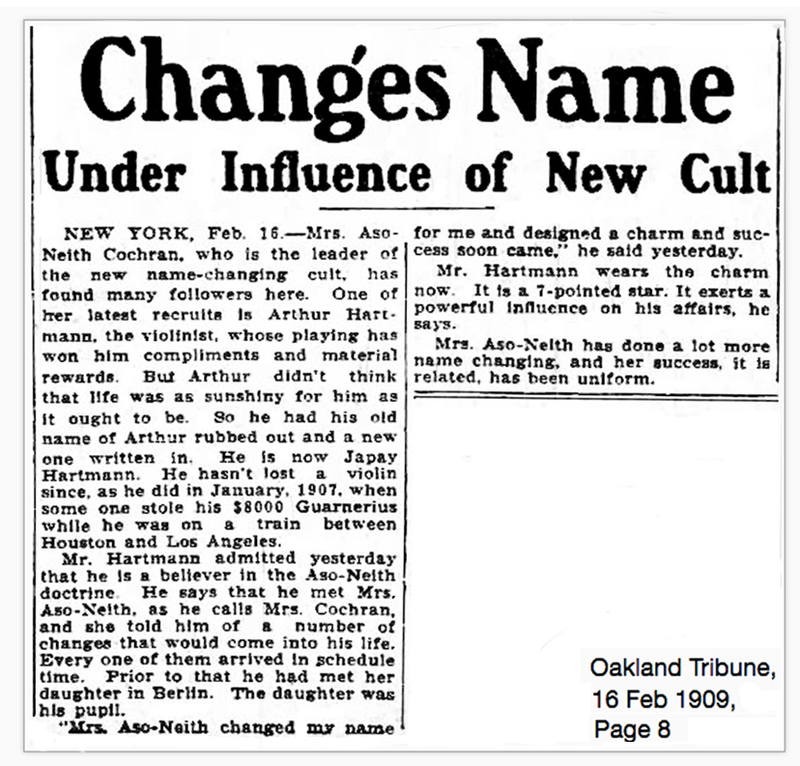 Later in 1914, Dr. Roy Walton and Dr. Juno Walton were in London, at one of the churches Dr. Seton had founded, and Dr. Roy Walton offered "name reading" or numerological character analyses by mail, for 50 cents each, to clients in the United States and England who subscribed to "The Column" magazine, where he had formerly been an editor. Roy Page Walton's treatise is extremely well thought-out and well written, and is, in my opinion, the first truly MODERN book on numerology. It teaches, with a lot less fussiness, the system of English-language numerology pioneered by Walton's teacher, Mrs. L. Dow Balliett. At the time of its publication, the awkward term "names and numbers" was the only descriptor for the art and science which Dr. Julia Seton was soon to christen "Numerology." In 1938 Walton's book was plagiarized in its entirety and republished, with an additional chapter on lucky numbers for betting, as "How To Get Your Winning Number," credited to the pseudonymous "Lewis de Claremont." In 1939, the typesetting for the plagiarized book was refashioned with a new title, "The Secret of Numbers Revealed," new cover art, and a new author credit to "Godfrey Spencer." In 2019, Walton's material, now long out of copyright, was used, with credit, as the core of a new book, also called "The Secret of Numbers Revealed," compiled and added to by Catherine Yronwode. In the Yronwode reprint, Dr. Roy Page Walton is credited on the cover, for the first time since 1914. Webster, Richard. Chinese Numerology: The Way to Prosperity & Fulfillment. Wehman Bros. [pseud.] Mystic Fortune Teller. Westcott, W[illiam] W[ynn]. Numbers: Their Occult Power and Mystic Virtue. Theosophical Publishing House, 1890, 1911, etc.. Reprint, 1974. White, Shane; Garton, Stephen; Robertson, Stephen; White, Graham. Playing the Numbers: Gambling in Harlem Between the Wars. This is not a book on Numerology per se, but it includes quite a lot of information, unobtainable elsewhere, on the history of Policy betting and the Numbers game in New York City. It does mention numerological betting and dream-number books. Yronwode, Catherine; Walton, Dr. Roy Page; de Claremont, Lewis; Spencer, Godfrey; Householder, Frank. The Secret of Numbers Revealed. This is an enlarged, revised, and partially rewritten compilation based on Dr. Roy Page Walton's 1914 book "Names, Dates, and Numbers: What They Mean To You" (about half of the book); with additional pages by the pseudonymous "Lewis de Claremont / Godfrey Spencer" from "How To Get Your Winning Number" on the Master Code for deriving winning lottery numbers; an overview of the Biblical "Cabalisms" of Frank Householder; and extensive original material (almost half of the book), on Chinese Lo Shu Square numerology, popular African-American systems for finding lucky numbers for lottery betting from dreams and omens, and the selection of names for businesses and professional pseudonyms by Catherine Yronwode.